Jaylin Davis is hitting a nice .311 after he doubled in Monday's loss to the Braves. 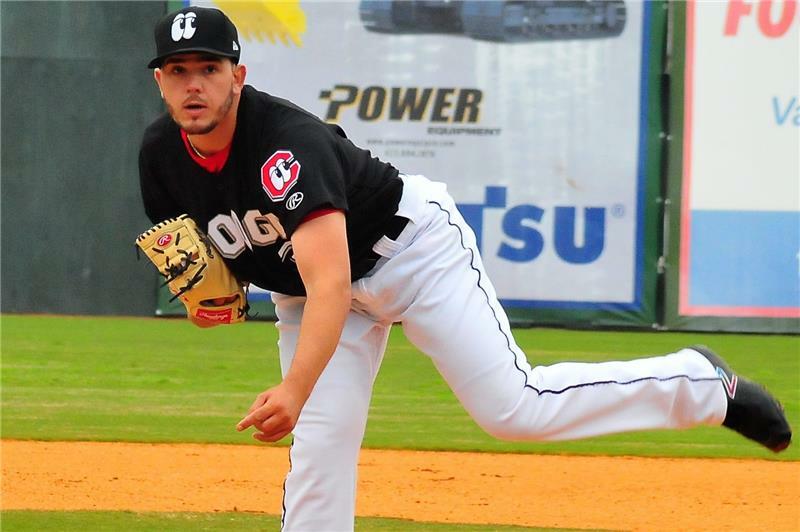 The Chattanooga Lookouts gave up seven runs over the first five innings in a 9-4 loss against the Mississippi Braves. Starting pitcher Jorge Alcala made his Lookouts debut tonight and threw a scoreless first inning. Alcala was one of two quality prospects acquired by the Twins from the Houston Astros in the July trade. 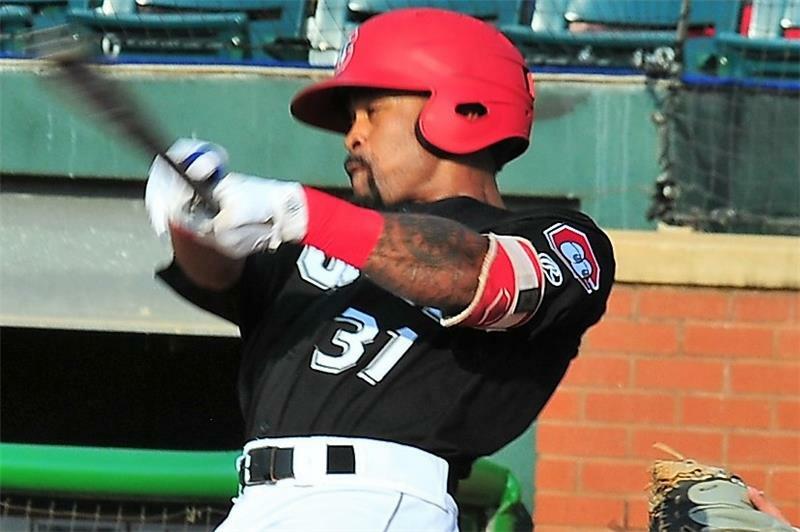 Upon being added to the Lookouts roster, he was placed on the 7-Day Disabled List with a right trapezius strain. Alcala came off of the DL to start on Monday night. Likely limited to 60 pitches, he reached that number with two outs in the third inning. The hard-throwing right-hander gave up three runs on two hits, but both hits went over the outfield wall for home runs. He also walked three and struck out two batters. The smooth sailing ended in the second when Daniel Lockhart smacked a two run homer. An inning later Tyler Neslony hit one to increase their lead to three. Mississippi piled on the runs with two in the fourth and three in the fifth. Tyler Jay came on next. He got the final out of the third inning, but he gave up four runs on six hits over 1 2/3 innings. He struck out two. Williams Ramirez gave up one run on three hits over 2 1/3 innings. He walked one and struck out three. Ryan Eades got four outs, two on strikeouts. Devin Smeltzer gave up a run on a hit and a walk in his inning. The Lookouts scored one in the fourth and three in the sixth, but could not overcome the large early deficit. The Lookouts had just five hits in the game. Luis Arraez drove in two runs. Jaylin Davis went 1-for-3 with a walk, his 11th double and an RBI. Davis continued his hot streak to raise his batting average to .311. After an off day Tuesday, the Lookouts will host the Jackson Generals for five games. LHP Lewis Thorpe looks to continue his hot streak when he takes the mound on Wednesday. In eight second half starts he is 4-0 with a 2.01 ERA and 51 strikeouts. On the year he ranks third in the league with 125 Ks.